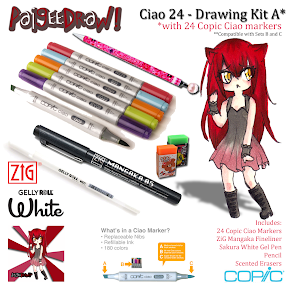 PaigeeDraw: PaigeeDraw / ChibiDraw Christmas PRO Contest! The PaigeeDraw / ChibiDraw Christmas Contest starts November 18th, 2011! 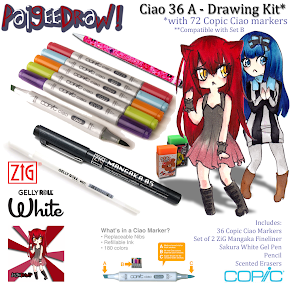 The Contest is sponsored by the PaigeeDraw Online Store, the best prices on the internet for Copic Markers! 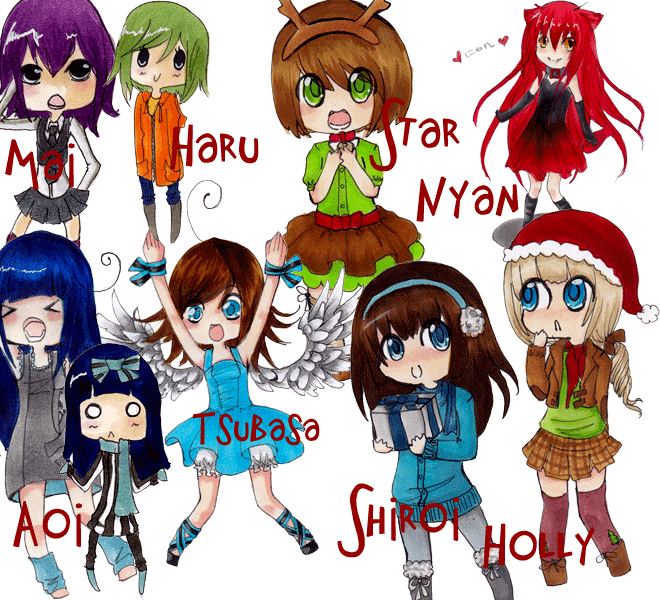 Nyan and Aoi Characters in regular or chibi form. 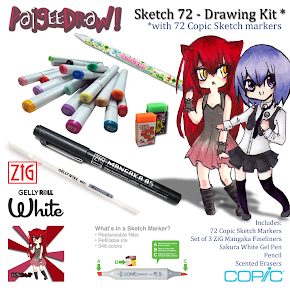 To enter the Christmas Contest, participants can use the "Contest Code" available on any of the following applications: PaigeeDraw PRO, ChibiDraw PRO, PaigeeDraw Boys PRO, or the future PaigeeDraw Christmas - available on iTunes! You can also use any Order Number from the PaigeeDraw Online Store. 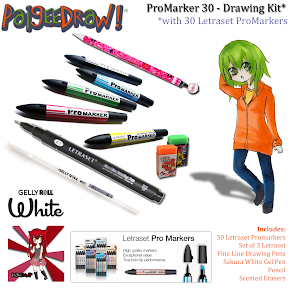 Prizes - Prizes include Copic Sketch Markers, as well as PrismaColor Premium Colored Pencils! During the last FREE Contest 1000's of people entered from around the World - since this is a PRO contest only, your chances of winning are greatly increased! 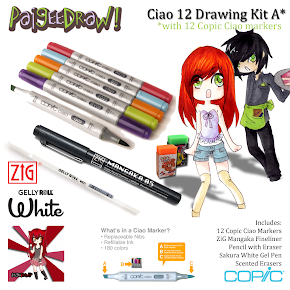 See the Full PaigeeDraw / ChibiDraw Contest Details HERE! Looking for a free contest? Check out PaigeeDraw World! 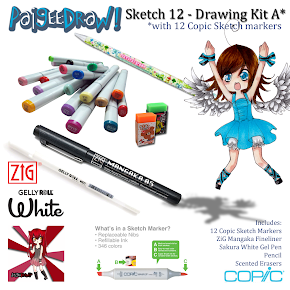 If you are looking to buy copic markers, please checkout the PaigeeDraw Online Store for the best prices for copics on the internet!